The Murrays Bay sailor came remarkable 4th overall in the regatta which was sailed this year at Medemblik, in the Netherlands. This fine result is not too much of s surprise for those of us who have watched and occasionally sailed against Josh (well were in the same race). Did you know the NZLA is on Facebook? Sara Winther got us setup but anyone can post or check it out. 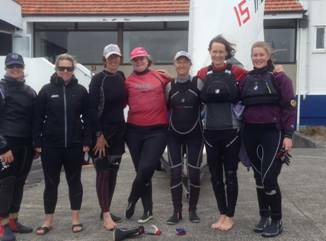 2017 NZ Laser Rankings for all divisions excluding Masters. Following his bronze medal in the Laser at the Rio Olympics, it's not surprising to hear Sam Meech will receive a Performance Award at the Volvo YNZ Excellence awards. More details on all awards at YNZ.